The Hawkbill is currently surging popularity and for good reason. It is just a terrific all-around great work knife. Most commonly called a pruner, it is also known as a carpet knife, box cutter, rope knife, and simply the "Hawk" Just about any profession that requires continuous cutting seems to use hawkbills and the traditional sway-back hawk is probably the most popular among this pattern. Rough Rider currently makes five knives in this pattern. I won two already (the white smooth bone -1144 and this one). Right now I'm waffling between picking up the other three or buying one from Case that will cost more than all five combined! The quality on these knives is phenomenal and at just $10 it is hard to go wrong. Yes, no doubt you can pick up a good used one with carbon steel blades for about the same price, but the blade will have been sharpened to the point that it no longer has the beautiful hawk bill profile. My suggestion is get an old one for cutting carpet and get one of these for show. 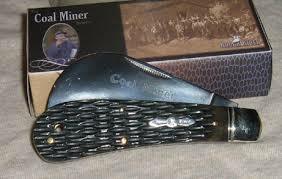 They make a great looking Sunday back pocket knife. The hawk has slim profile and nice lanyard hole. It'll make a great cutter for the back pocket.